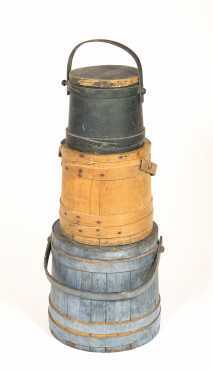 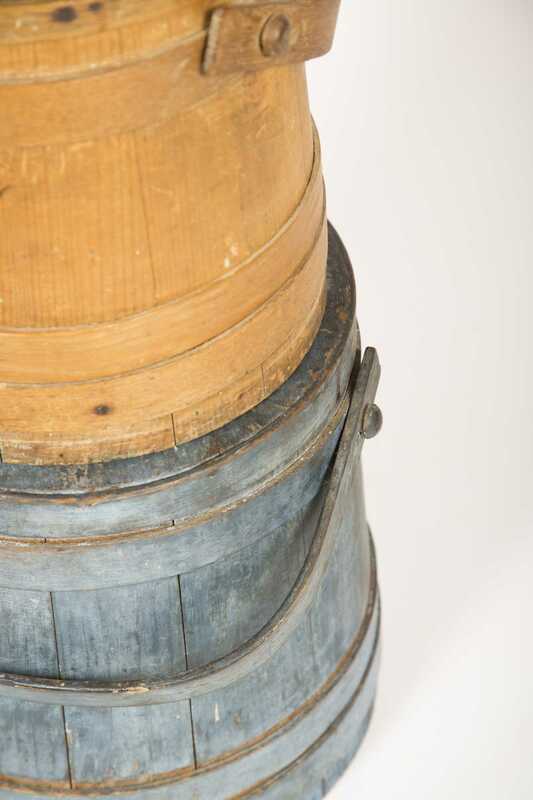 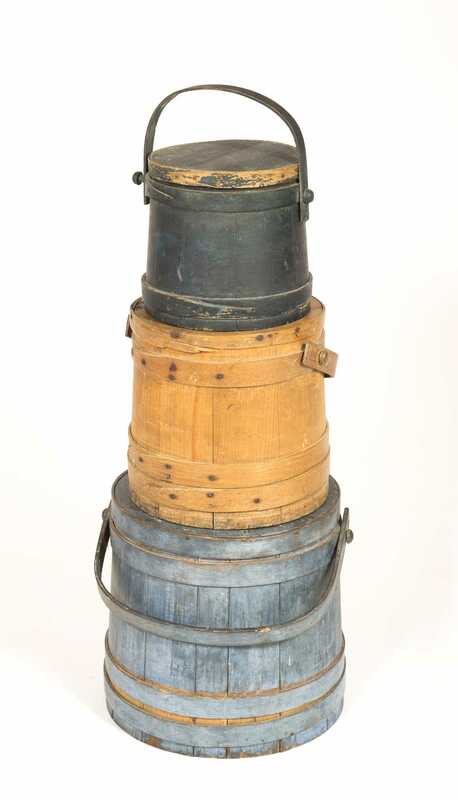 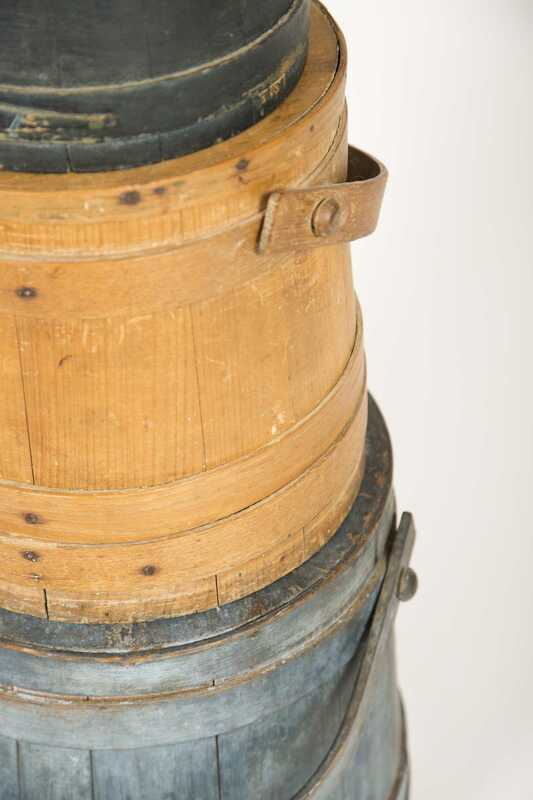 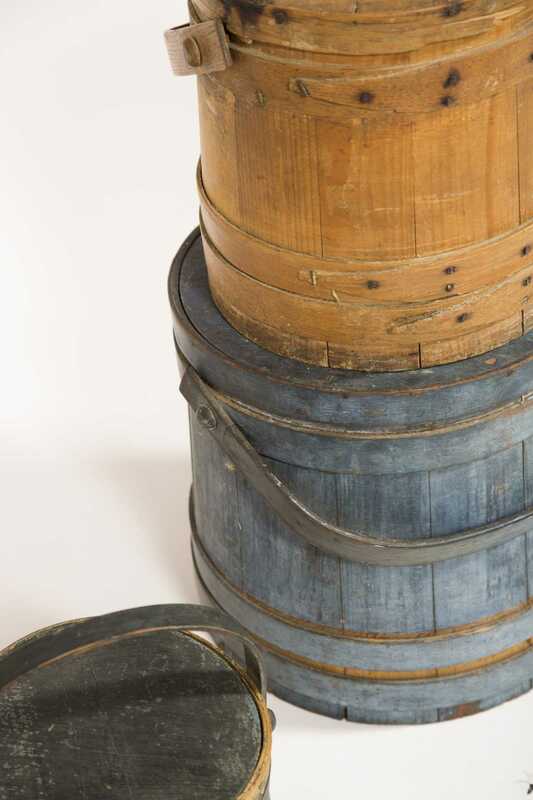 A Stack of Painted Firkins, A) 7 1/4" tall lapped firkin in blue.green old paint, some wear cover edge and loss. 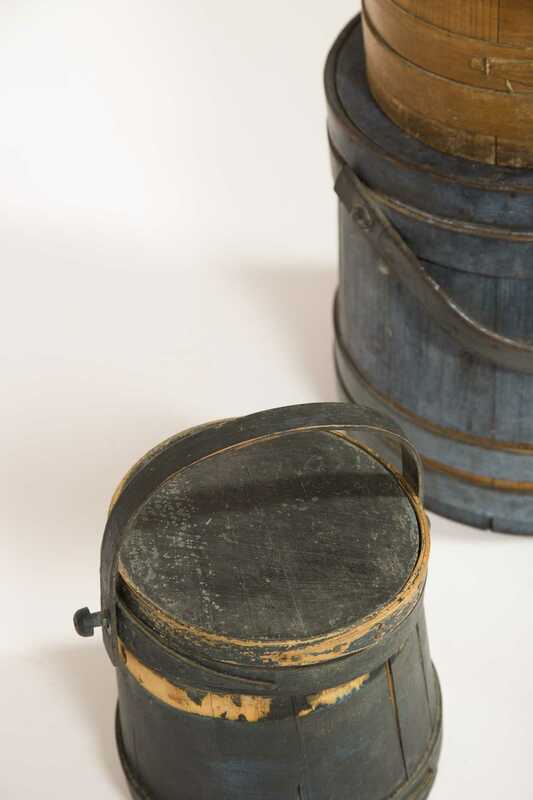 B) 9 3/4" tall lapped firkin in a natural unpainted surface, some loss to lid edge. 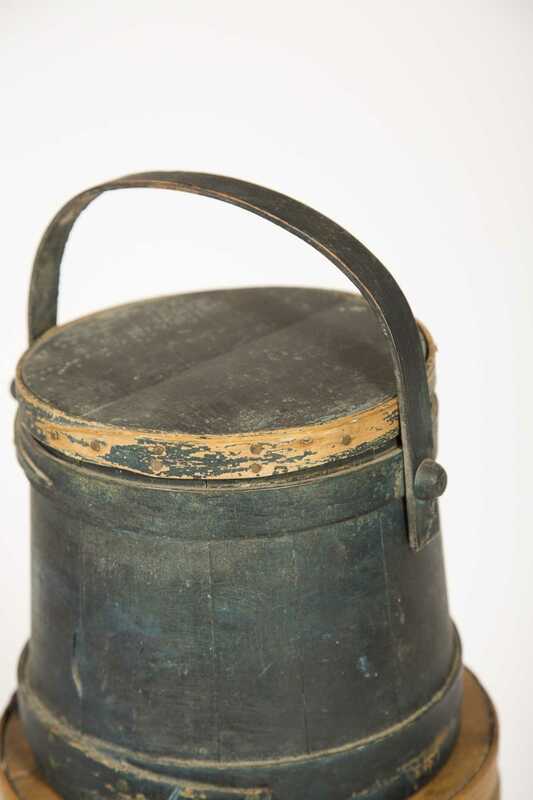 C) 11 3/4" tall lapped firkin in powder blue old paint, small old chip on cover top.